The National Exercise &amp; Sports Trainers Association offers a comprehensive online Fitness Nutrition Coach Certification. The certification can even be completed ahead of New Years, helping to battle the New Years craze. Every health and fitness professional must earn the proper credentials to offer nutrition counseling. NESTA provides an affordable solution. Believe it or not, the average adult will gain 3- 7 pounds this holiday season. The National Exercise & Sports Trainers Association (NESTA) offers an online Fitness Nutrition Coach certification program at for fitness and nutrition coaches to help people get back on track post-holidays. The Fitness Nutrition Coach certification teaches proven techniques for helping clients increase energy, improve their health and decrease dependency on medications as well as strategies for launching a lucrative fitness and nutrition business. In addition, it offers information about specific nutrition populations such as vegetarians, pregnant and menopausal women, young and old clients, diabetics and more. NESTA’s Fitness Nutrition Coach program is designed for personal trainers, life coaches, registered dietitians, certified diabetes educators, registered nurses and others who are interested in the latest advancements in nutrition as well as additional income opportunities in the health and fitness industry. The business and marketing component of the program teaches students how to increase income by creating nutrition information products such as audio lessons, educational books and videos, becoming a nutritional speaker or developing a membership website which offers healthy living advice. Topics covered included nutrition concepts, nutrition requirements, assessing nutrition needs, understanding alternative approaches, performance nutrition and more. 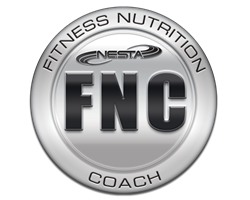 The Fitness Nutrition Coach certification from NESTA is 100% online. Since 1992, the National Exercise & Sports Trainers Association (NESTA) has been a leader in innovative solutions for fitness, nutrition and wellness professionals, as well as club owners. Founded by John Spencer Ellis, NESTA now has more than 55,000 members in 55 countries, and it is one of the largest fitness associations in the world, as well as the fastest growing association of its kind in the United States. For more information on the NESTA Personal Fitness Trainer certification, please visit http://www.nestacertified.com/nutritionist/.